Gardiner, Nov. 5 – Buel L. Merrill, 76-year old Gardiner resident, died Monday noon at the Gardiner General Hospital as the result of head injuries received in an accident early Friday evening in Farmingdale, the attending physician, Dr. C.R. McLaughlin, said Monday. Three other persons were hospitalized as a result of the accident, a head-on collision involving a car driven by Mr. Merrill and one operated by Percy Westcott of Jordan Acres, Brunswick. Mr. Westcott and his wife were taken to the Gardiner General Hospital and John Blaisdell of Bath to the Augusta General Hospital. Dr. McLaughlin said Monday that Mr. Westcott’s condition was “fair” and Mrs. Westcott was reported to be recuperating. Dr. Roland L. McKay of Augusta said Monday that Mr. Blaisdell, who suffered several broken ribs, was getting along very well. 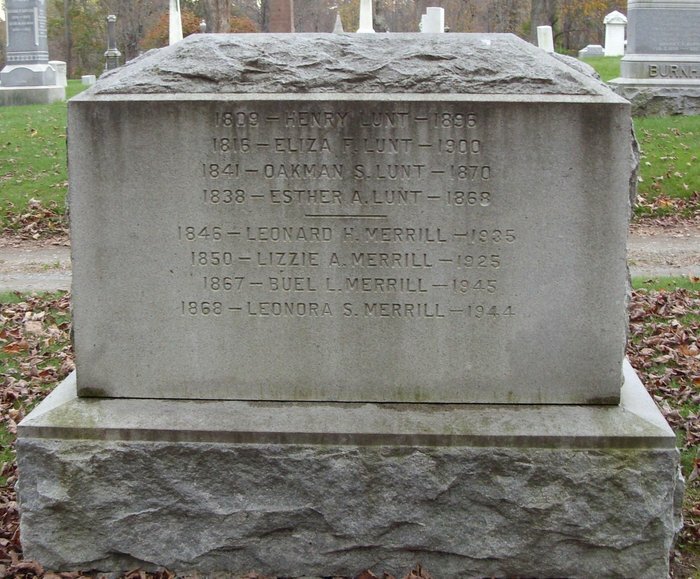 Mr. Merrill, who lived at 20 Brunswick Avenue, was born in Augusta Nov. 17, 1867, the son of Leonard H. and Elizabeth A. (Tibbetts) Merrill. Former proprietor of the Spring Cove Camps, he was retired. He was a member of the Seventh Day Adventist Church, the Order of the Golden Cross, Gardiner Grange, the Sociability Club, and Pell Clason Camp, Sons of Union Veterans. 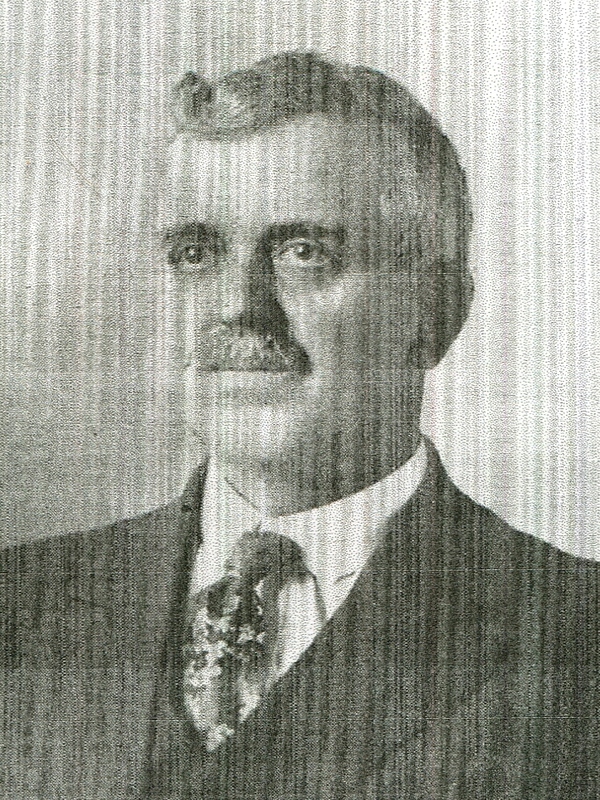 Mr. Merrill is survived by five sons, Leonard O. Merrill of Jamaica Plain, Mass., Chadburne L. Merrill, Henry B. Merrill and Norman L. Merrill of Gardiner, and Leroy S. Merrill of Augusta; three daughters, Mrs. Florence Young and Mrs. Maretta Watson of Woolwich; 16 grandchildren and four great-grandchildren..
Funeral services will be held Wednesday afternoon at 2:30 o’clock at the Amesbury-White Funeral Home, Gardiner. GARDINER – Funeral services for Buel Leonard Merrill were held Wednesday afternoon at the Amesbury-White Funeral Home, with Elder J.B. Chrispens of the 7th Day Advent Church officiating. Memebers of the Sociability Club attended and bearers were seven grandsons: Buel Merrill, Richard Merrill, Pfc Leonard Merrill, Henry N. Merrill, S 2/C USNR, Alston Stultx, Lt. Robert Stults, and Midshipman Leroy Merrill, Jr.
Burial was in the family lot at Oak Grove Cemetery, Gardiner.